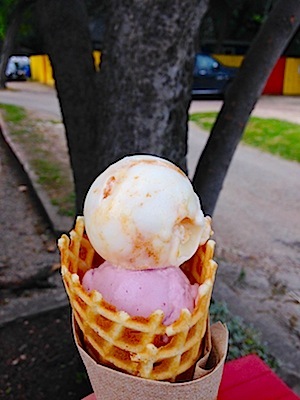 This article is dedicated to the Austin confectionaries that are keeping it weird…that is, the innovative dessert spots that defy your run of the mill snow cone trailers and overused ice cream flavors. 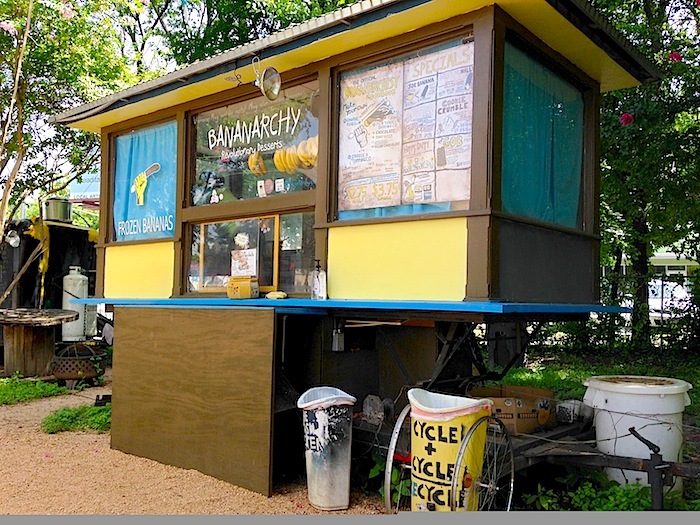 From a frozen banana trailer with an attitude to a north side shaved ice shop that offers beautifully glacial treats, these funky sweet spots are a beacon for foodies and the adventuresome across Austin. This food trailer is full of personality, showcased on its website in a quirky video for the Kickstarter campaign the owners hosted in April. Bananarchy makes its home on South 1st Street, in the food truck park behind the famous “Welcome to South Austin” sign. Although one employee told me the truck’s bestseller is the Cookie Crumble, featuring Oreos and chocolate chips, on my last I opted for the weekly special: Caramel Macchiato Banana. Presented to me in the same paper that might hold a corn dog at a baseball game, I quickly became a fan of this “revolutionary dessert,” as the tagline describes it. 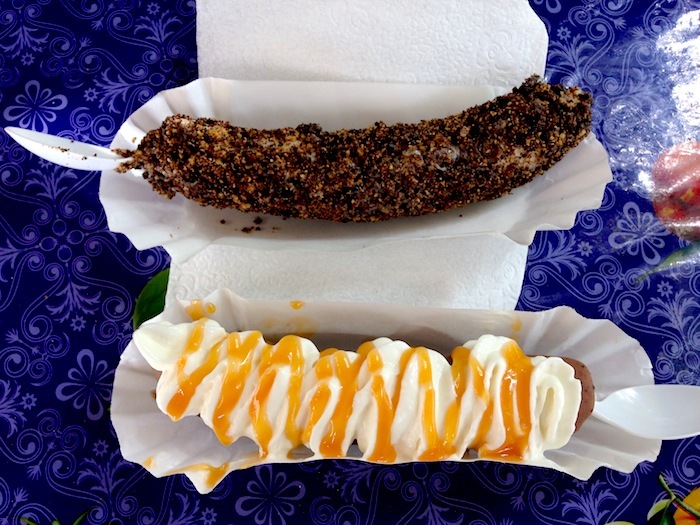 The entire time I was eating this frozen banana covered in sweet whipped cream and drizzled with caramel, I kept thinking, “Banana popsicles! What a great idea!” And it’s true. You can even trick yourself into believing you’re eating something good for you. Since the spring Kickstarter campaign was successful, Bananarchy plans to use the funds to open a location up north. Keep an eye out! Nestled on 22 1/2 St in West Campus, Cream Whiskers is a bakery entirely dedicated to cream puffs. In a quaint room with tables where students sit studying on laptops, the atmosphere is quiet and cheerful. Although you may wonder exactly how to make an entire bakery out of one treat, Cream Whiskers has figured it out (fortunately for all of us). First, you may choose the normal airy bread to hold your cream filling, or you can choose a top with a sugar cookie baked into it. Next, you choose the filling. There is a light whipped cream filling akin to what you would normally find in a cream puff, custard filling or rich cheesecake filling. Clearly, this dessert is as sinful as you want it to be. 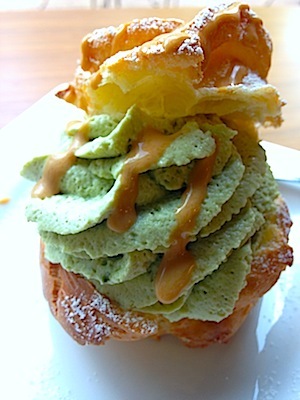 I chose the Matcha Azuki cream puff. Japanese green tea whipped cream was drizzled with dulce de leche syrup and paired with azuki red bean paste. The small bakery also offers coffee, tea and espresso drinks, which pair well with these sweet pastries. The next time you feel like eating a snow cone, try this instead. 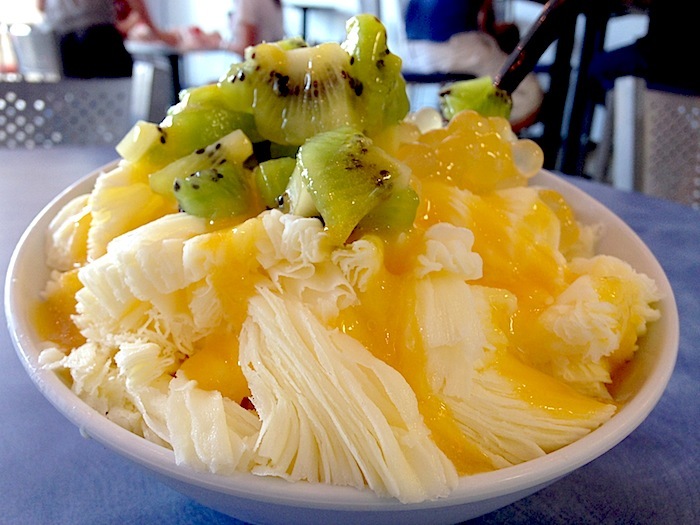 The shaved ice from Snow Monster looks like the beautiful architecture of glaciers. Conceptually, it may also be compared to bubble tea in ice form, as you can add the same flavored jellies and tapioca balls to flavor the treat. Additionally, there is an assortment of fruit, nuts and other mix-in toppings to make the bowl your own. 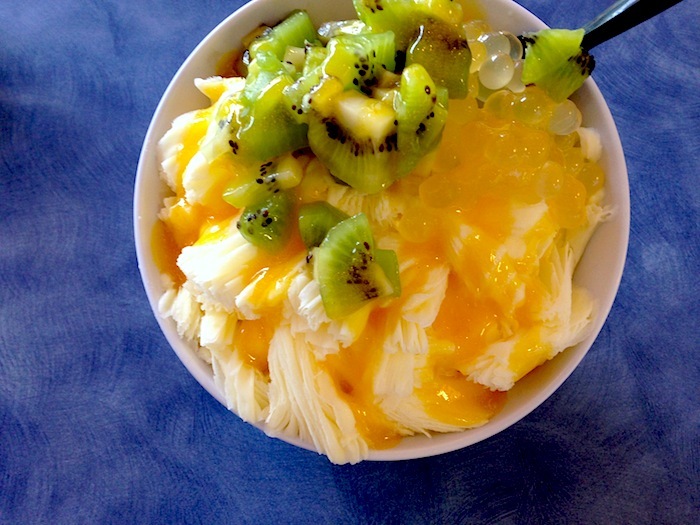 On my last visit, I chose mango shaved ice, drizzled in a mango syrup, and topped it off with kiwi and lychee bubbles that burst in my mouth. I ordered a small size, but the serving is pretty big. Another patron I saw ordered a large to share with his date, and it resembled a giant colorful tower of shaved ice and fruit. Snow Monster’s combos look delicious as well. Instead of flavored ice, they’re drizzled in brown sugar and condensed milk. Lick goes a step further when considering ice cream flavors. Rather than sticking to ingredients traditionally used in desserts, the owners have branched out to surprising areas. A small size consists of two dainty scoops, and I recommend you request your serving in a homemade waffle cone (made from local, organic eggs). Why limit yourself to what you’ve tried before when there’s a whole world of strange and interesting desserts to savor? One of my favorite parts of living in this city is being continually surprised by what people come up with. Eat at one of these four Austin businesses for a satisfying and sweet experience. 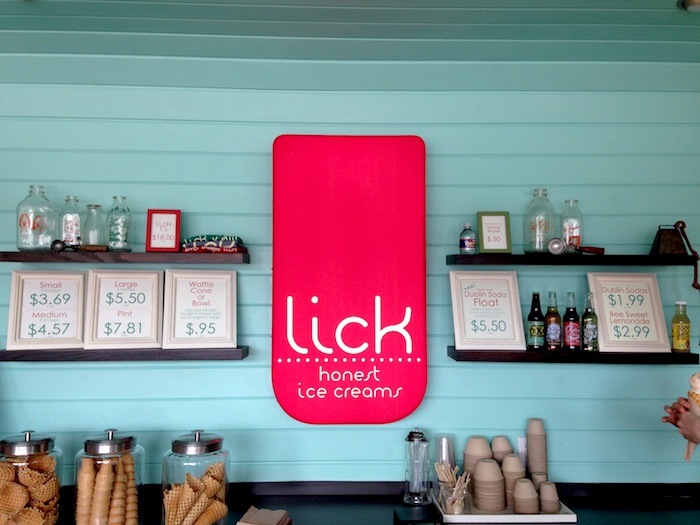 Do you have a favorite funky sweet spot in Austin?